Competitive remuneration will be offered to successful candidates for the above positions as per TANROADS guidelines. a. 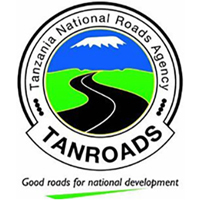 Any Tanzanian who meets the conditions and requirements of this advertisement i6 invited to apply. Only candidates who are willing to join the Agency immediately after being notified are invited to send application letters. Qualified applicants are required to apply to the undersigned not later than Wednesday 31st January 2018 attaching to their application letters; CVs, copies of certified Academic certificates, copies of certified birth certificates, names of at least two referees with their daytime telephone numbers, applicants' own daytime numbers for contacts, and one colored passport size picture. Late as well as incomplete applications will not be considered. Lobbying and canvassing of employment will not be entertained and will work to the applicant's disadvantage.